In north Florida, Michael battered the shoreline with sideways rain, powerful gusts and crashing waves, swamping streets and docks, flattening trees, stripped away leaves, shredding awnings and peeling away shingles. It also set off transformer explosions and knocked out power to more than 388,000 homes and businesses. A Panhandle man was killed by a tree toppling on a home, Gadsden County Sheriff’s Office spokeswoman Anglie Hightower said. She said authorities got a call Wednesday evening that the man was trapped but rescue crews were hampered by downed trees and debris blocking roadways. Authorities haven’t yet confirmed the man’s name. Vance Beu, 29, was satying with his mother at her apartment, Spring Gate Apartments, a small complex of single-story wood frame apartment buildings. A pine tree punched a hole in their roof and he said the roar of the storm sounded like a jet engine as the winds accelerated. Their ears even popped as the barometric pressure dropped. Kaylee O’Brien was crying as she sorted through the remains of the apartment she shared with three roommates at Whispering Pines apartments, where the smell of broken pine trees was thick in the air. Four pine trees had crashed through the roof of her apartment, nearly hitting two people. She was missing her 1-year-old Siamese cat, Molly. In Apalachicola, Sally Crown rode out the storm in her house. The worst damage — she thought — was in her yard. Multiple trees were down. But after the storm passed, she drove to check on the cafe she manages and saw the scope of the destruction. Gov. 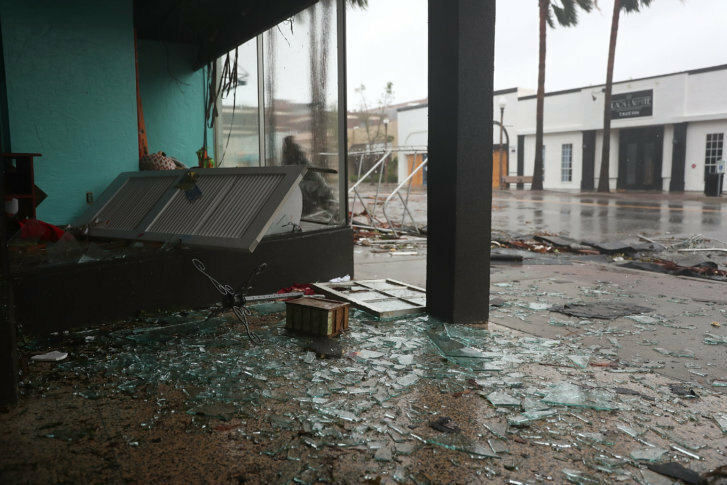 Rick Scott announced soon after the powerful eye had swept inland that “aggressive” search and rescue efforts were just beginning and urged people to stay off debris-littered roads. With the hurricane still pounding the state hours after it came ashore, and conditions too dangerous in places for search-and-rescue teams to go out, there were no further reports on deaths or injuries by nightfall. Hurricane-force winds extended up to 45 miles (75 kilometers) from Michael’s center at the height of the storm. Forecasters said rainfall could reach up to a foot (30 centimeters) in spots. And then there was the life-threatening storm surge to deal with. 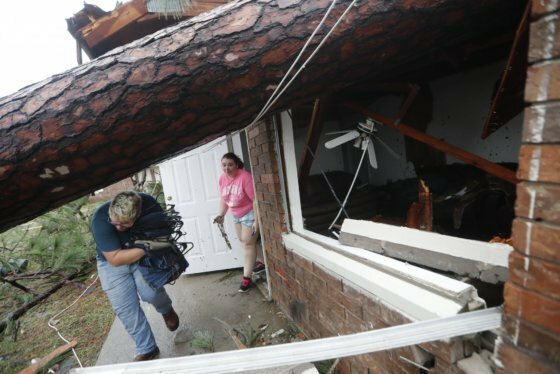 It appeared to be so powerful that it remained a hurricane as it moved into south Georgia early Thursday. Forecasters said it would unleash damaging wind and rain all the way into the Carolinas, which are still recovering from Hurricane Florence’s epic flooding. The hotel swimming pool had whitecaps.